It’s been an emotional week for fans around the world after news broke about the possible closure of Studio Ghibli’s production department. 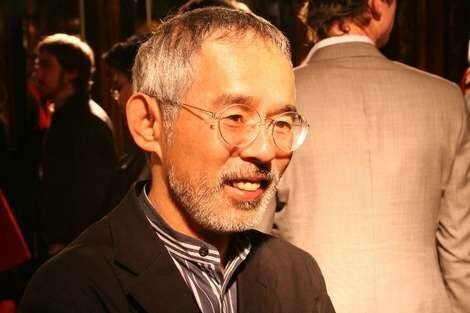 Ghibli producer Toshio Suzuki thankfully cleared up some of the misconceptions out there, and while we’re still left with many unanswered questions, his words left us with a glimmer of hope that even the great Hayao Miyazaki himself may be back to make a short animated film in the near future. Miyazaki himself has publicly stated that last year’s The Wind Rises would be his final feature-length film, even if he continues making short films after retirement. So how do you pay tribute to a man whose career spans decades and who created some of the most beloved movies around the world? Well, one fan’s idea to build Lego models of his famous characters and a bust of the master himself seems like a good start! Also making an appearance were some of the cast members from the Oscar-winning Spirited Away. No-Face in particular is creepily accurate to its animated design, wouldn’t you say? Finally, we have Hayao Miyazaki himself, in Lego form! One viewer commented how his large nostrils made the model seem more like a cross between Miyazaki and the titular character of Porco Rosso. ▼Here’s a photo for comparison if you’re not familiar with what he looks like in real life. 65-year-old producer Toshio Suzuki is voluntarily stepping down from his position at Studio Ghibli, although he will assume the new title of “general manager.” Yoshiaki Nishimura will instead be the studio’s producer for Ghibli’s films going forward. Director Hiromasa Yonebayashi is adapting Joan G. Robinson‘s English children’s novel classic When Marnie Was There (Omoide no Marnie) for release this summer. Suzuki’s successor Nishimura made his debut as a producer on Takahata’s The Tale of Princess Kaguya, which opened last November. Suzuki was credited for just “project planning” on The Tale of Princess Kaguya, as he devoted himself to producing Miyazaki’s final feature film The Wind Rises. For When Marnie Was There, Suzuki’s only roles were selecting the original work and main staff, and then deciding the budget and schedule. Nishimura is handling the actual day-to-day producing at the studio. Miyazaki, Suzuki’s colleague for three decades, also retired from making feature films last September, although he is drawing a samurai manga on his own free time. Suzuki emphasized that his own decision to retire was not linked to Miyazaki’s. Instead, he hoped to step aside and boost the new era of Ghibli with “young strength” such as 36-year-old Nishimura and 40-year-old Yonebayashi. Suzuki was born in Aichi Prefecture on August 19, 1948. He graduated from Keio University with a bachelor of arts degree in 1972 and then joined the publisher Tokuma Shoten. He worked at the Weekly Asahi Geinō magazine before he helped launch Animage magazine and served as its second editor-in-chief. In fact, Suzuki was editing Animage when Miyazaki started serializing the landmark Nausicaä of the Valley of the Wind manga in its pages. Suzuki served as Tokuma’s production committee member on the subsequent Nausicaä anime film, and then participated in the founding of Studio Ghibli in 1985. He officially moved from Tokuma Shoten to Studio Ghibli in 1989 to produce all of its films ever since. He began serving as the studio’s president, in addition to his other duties, in 2005. Suzuki attended the Academy Awards ceremony last weekend on behalf of Ghibli and The Wind Rises, which had earned a Best Animated Feature Film nomination. He appeared at a symposium with the other Animated Feature nominees in a traditional Japanese happi coat. There, he said that Miyazaki wanted to make “Ponyo Part II,” but Suzuki asked the director to adapt his own manga Kaze Tachinu (The Wind Rises) instead. Suzuki just accepted The Wind Rises‘ Japan Academy Prize for Best Animated Feature Film on Friday. In his acceptance speech, he drily observed that he learned his lesson — his studio should not make two films in the same year.